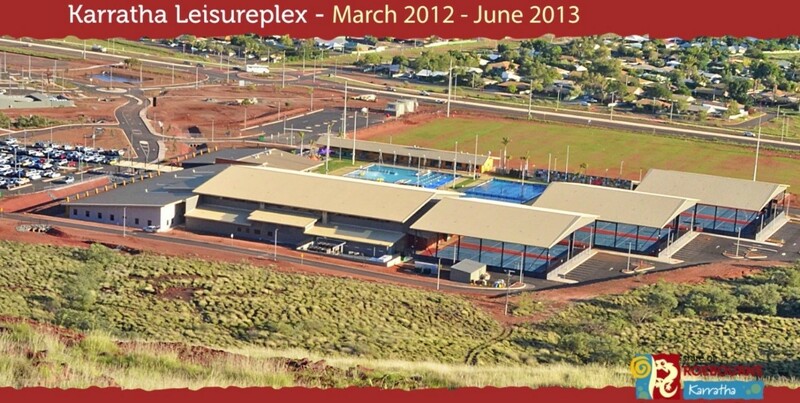 The Karratha Leisure Complex is a large indoor sports and aquatic centre with potential use as an evacuation centre and cyclone shelter. There are six buildings in the project, including the main hall and associated administration, squash courts, gymnasium and function area, a poolside clubroom and pool plantroom building. The main building contains a three basketball court hall with large open spans. The design of the hall utilises tilt up construction with two bifurcated trusses supporting a spine truss. During the design phase of this project, a new Australian Standard for Wind Loads was released. This included a major change in the requirements to resist debris impact. The tilt-up design was ideally suited to resist the new forces applied, however changes such as installing a ply layer under the roof sheeting and providing sheet steel clad frames to protect mechanical openings had to be incorporated. As the main building was to have post disaster and cyclone shelter functionality, the design loads were significantly larger than typical buildings in this region, which is already has one of the highest wind speed categories in the world.